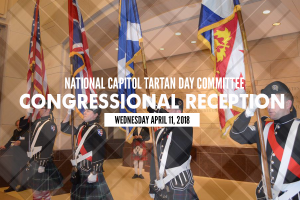 About | Official site of Tartan Day | Washington D.C. The date of April 6 commemorates the signing of the Declaration of Arbroath in 1320, which asserted Scotland’s sovereignty over English territorial claims, and which was an influence on the American Declaration of Independence. Canada has been celebrating “National Tartan Day” since 1993. The idea and motivation for creating a similar American holiday was provided by the Scottish Coalition, a group of national Scottish-American cultural organizations. Since then, the question has been asked many times: “How did this get started?” It seems desirable, since undoubtedly the question will continue to be asked, to give the background of this historic event. When a second national meeting was convened February 7-9, 1997, there was further discussion and plans were made for the observance in the current year. It was agreed by the six national organizations – American-Scottish Foundation, Association of Scottish Games & Festivals, The Caledonian Foundation, the Council of Scottish Clans and Associations, Scottish Heritage USA, and the Tartan Educational and Cultural Association that this observance did provide an excellent venue to give visibility to Scottish heritage. Around the country, a true grass-roots effort took place. 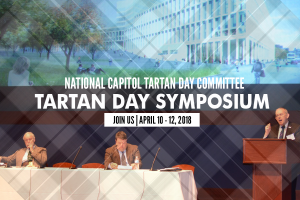 Thousands of Scots-Americans found ways to observe the first Tartan Day in churches, on village greens, at Scottish festivals, at social gatherings, and in the home. It would seem that at last the Scots in America had found a cause around which all could rally. Tartan Day was observed on April 6, 1997, for the first time in U.S. history. And it is a day that will be observed so long as there are Scots who care about their heritage.